3…2…1…Blast off for a superowered rocketship ride through the galaxy on this roller-coaster-type space adventure past fields of shooting stars, celestial satellites and awesome special effects. 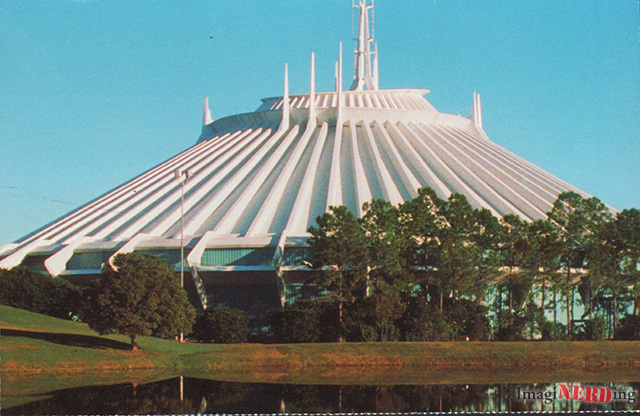 This a great view of Space Mountain from the walkway under the monorail on the way to the Contemporary Resort. You can see how the building is painted a light blue/green on the bottom half to help it disappear. Also the track ringing the building is reminiscent of the Peoplemover track on the other side.